Irish history is filled with difficult times that make the heart weep: invasion, colonization, exploitation, starvation. Does this suggest that the Luck of Irish is bad luck? Or, does the phrase “Luck of the Irish” have its origin in the days of the Wild West (in the United States) when many Irish people struck it rich during the Gold Rush or were prosperous in silver mining? Sadly, this metallically auspicious time has a shadow. Many non-Irish Americans of those days didn’t think the Irish were capable of success through intelligence or hard work, so they attributed the accomplishments of the Irish to luck. What do you think? Are some people just lucky, while others are not? 1. the force that seems to operate for good or ill in a person’s life, as in shaping circumstances, events, or opportunities: With my luck I’ll probably get pneumonia. 2. good fortune; advantage or success, considered as the result of chance: He had no luck finding work. Lucky me! I have children who are anything but normal. If they were normal, they would have been subject to living slightly improved replicas of my and my husband’s life. Because my children are not mini-mes or mini-their-daddys, they get to live their own lives. And, their magnificent uniqueness has made me a better me. Rhonda K. Welling posted the following on my Facebook Page and gave me permission to share. I read similar stories almost daily: Mothers who, at first, feel unlucky because their children have autism, or ADHD, or a hearing disability, or extreme crankiness, become grateful for the children and lives they have. Before my son, I lived a life I wasn’t proud of. I took a lot, and I mean a lot, of things for granted. When Anthony was diagnosed with autism, I honestly didn’t know anything about autism and was one of them people who thought I never had to worry about it cause I would never have to deal with it. 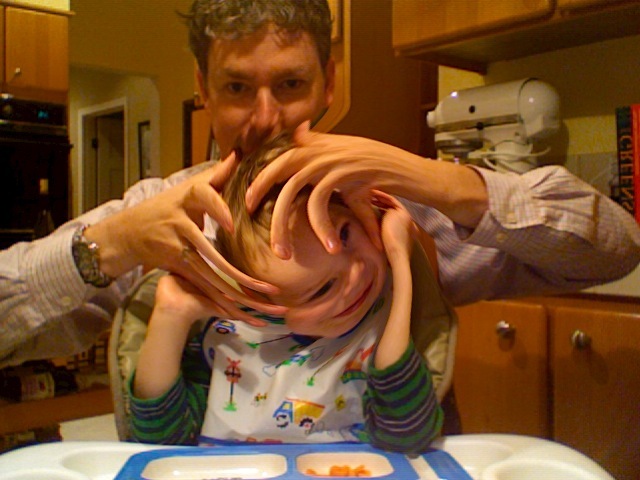 My son taught me to look at the world through the eyes of a child with autism. He taught me not to take the small things for granted, for example, rain, sand, grass, trees, clouds. Not to ever take for granted the words a child speaks to you. He actually stopped talking for 2 years. And 3 years after his diagnosis, he said “Anthony love mama this much” and he stretched out his little arms as far as they would go. Just them few words changed my life forever. I didn’t see autism at that point. I seen what a beautiful boy I was blessed with. You have no idea how much it annoys me to hear someone tell their child to be quiet or even worse..shut up because what these people don’t think about is sometimes they do. I missed hearing his voice, hearing his laugh, seeing his smile. He is 8 years old now and he has taught me to see beauty in the small things, including autism. It’s amazing to me that they say parents teach their kids, but I think in a true sense Anthony has taught me more then I could ever learn from some book. He has taught me unconditional love and acceptance of everyone and everything around me. “You get what you get and you don’t get upset,” children learn to chant in kindergarten. The truth is, we do get upset. We grieve. We rage. We yell at our children. We also heal, change, and evolve. We become the Force in our children’s lives, in our own lives, and in the world. I became the Force in my life by learning about and using homeopathic remedies, tapping on my meridian points, and embracing ideas that, at one time, would have been unimaginable for me. I evinced my role as the Conscious Creator of my life. How are you unleashing the Force in Your Life? I’d love to know. Leave a comment or send me a note. Or stop by the Swan Mothers’ Group and start a conversation. You are not alone. Before I had children and early in the parenting journey, I thought it was my job to mold my children into kind, intelligent, and self-sufficient beings. That they would speak properly, have good table manners, be polite, and do well at school was presumed, a baseline. These were my assumptions before autism rocked my world, before one child was diagnosed autistic, before I realized the other two were anything by typical. Diagnosis and confusing-to-me behaviors did not immediately change my perception. I simply resolved to work harder to mold my children into the kind, polite, intelligent, and self-sufficient beings they were supposed to be. I ALWAYS loved my children. I always strove to be the mother they needed. I did my best to be patient and supportive. But I did believe that it was my job to make them be/act/appear as normal as possible. For me, normal meant following the rules of society, exercising self-control, learning, and growing. I did not believe my goals for them were harmful. I believed it was my mother-duty to raise children who fit in, because that’s what my life experiences had taught me was correct. As time went on, my understanding shifted. I watched my children. I embraced what made them smile and rejected that which caused them pain. I read amazing books that revealed a new way to look beyond the face value of “behaviors” and “traits.” I discovered something wonderful where others saw misbehavior and dysfunction. Last week I had an Ah-ha! moment. I realized I need to stop trying to fix my children. I love them with all of their sometimes challenging traits — but I have, for a long time, been on a mission to minimize those quirks. For now, I need to let them be — as important for me as for them. A short while later, I picked up a book in which the first chapter was titled “The World Needs Autism.” Reading these words was affirmation of my realization. A later journal entry: I have long known that there is a purpose for autism. I am slowly muddling through what that purpose is. I believe that everything is evolving perfectly and the purpose is being served — even if I don’t understand it. It took me a long time to get here. (I tell the story of my parenting journey, and those of many other mothers, in Swan Mothers.) I still get plenty of opportunity to practice. 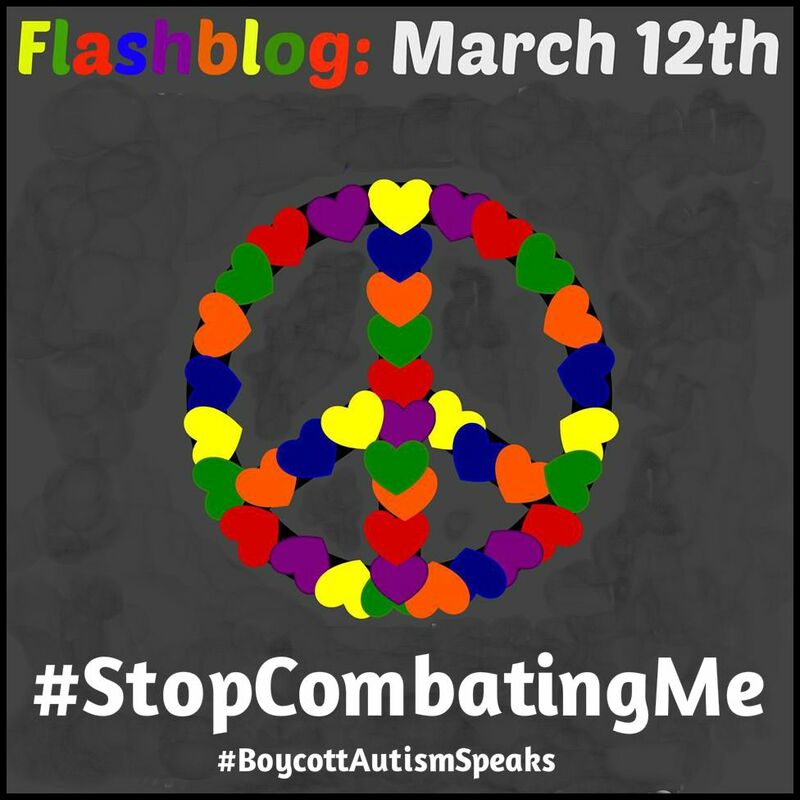 Many resources that are available today, specifically, blogs written by autistic adults, were not available when I started this journey, so I continue to uncover new layers of understanding. I still want my children to be kind, polite, intelligent, and self-sufficiency beings, but I want them to be these things while being fully themselves. A flashblog is a day when a group of people share their thoughts about a single topic. My friend S.R. Salas explains that here. A great list by Ariane Zurcher that describes what I wish I’d known in the early days (years). My journey to discovering these truths is in the Swan Mothers book. What follows are some of the things I wish I’d been told (and given) when we learned Emma was Autistic. These are the things, in retrospect, I wish all those doctors, specialists, pediatricians, therapists and people who dedicate their lives and careers to autism had told me, but did not. I believe our lives would have changed dramatically had we been told even a few of these things. It is my hope that for those of you who may be at the beginning of your journey with an Autistic child, this list might help you avoid some of the many, many mistakes we made and a great deal of unnecessary pain.